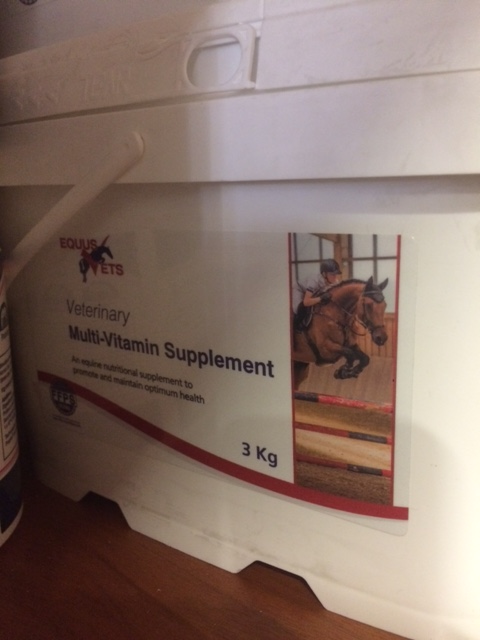 Equus Vets Multi-vitamin supplement is a complementary feedingstuff formulated to provide a supplementary source of vitamins and trace elements to all leisure horses and performance/ competition horses and ponies. It is particularly indicated for horse's on restricted pasture, horses being fed just grain and hay or for horses recovering from illness. A special feature of our Multi-vitamin supplement is its suitability for feeding to horses and ponies with a low sugar tolerance. Composition: Dextrose, Phosphate, Calcium Carbonate, Magnesium Oxide, Sodium Chloride. For ponies 300kg and under feed 25g daily. For horses and ponies over 300kg feed 50g daily. Equus Vets Multi-vitamin Supplement is competition legal.